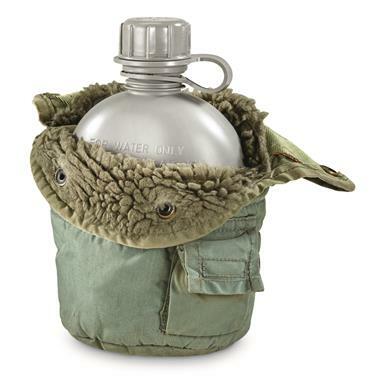 Perfect for staying hydrated in cold temps. 5" x 3" x 9"
Take a swig to swiftly quench thirst on the trail. This U.S. military Canteen includes a soft fleece-lined cover for arctic-level defense against freezing temps. 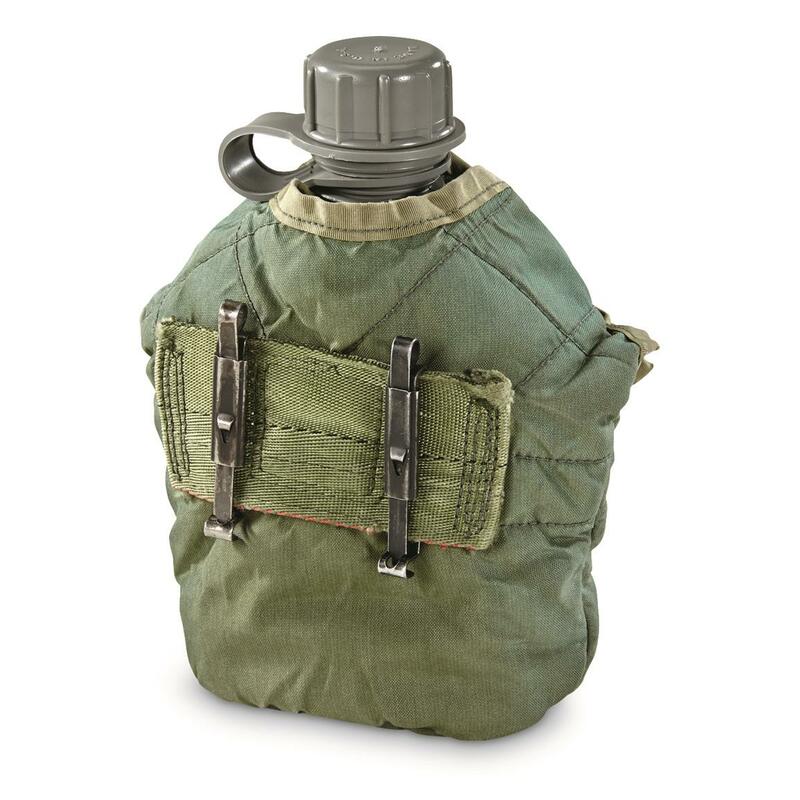 Keeps your potable water supply liquid and ready to drink, even in the most extreme temps. Each cover includes a small pocket for stashing purifying tablets or other meds you might need in the wild. Size: 5" x 3" x 9"